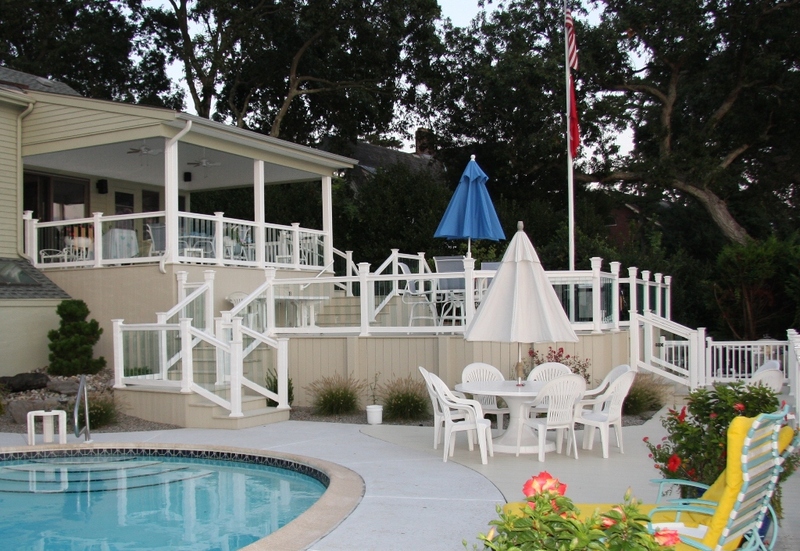 You found the perfect house with a view of a bay, an ocean, a pool, a winding river, a city skyline or a mountain range. 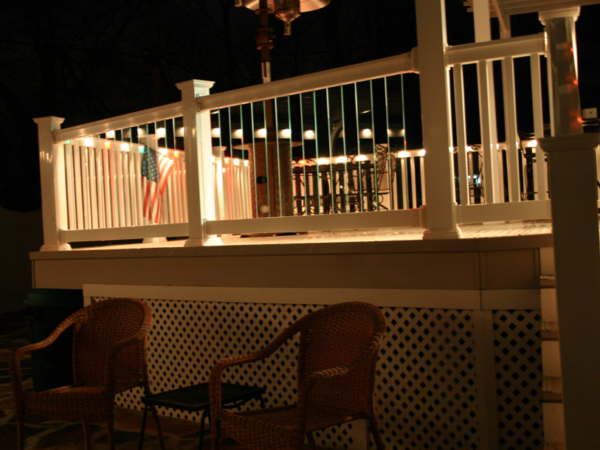 In fact, you probably paid extra for that view, but it was worth it. 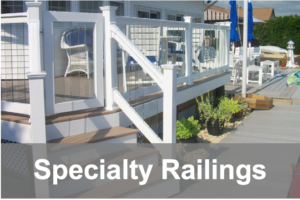 Get the most out of that view with Phoenix Manufacturing Glass Panel Railings. 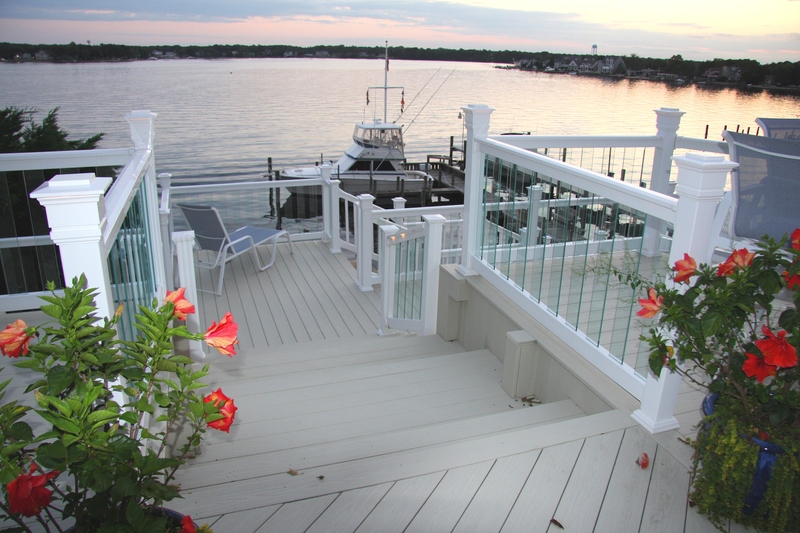 Glass Panel Railings give decks, porches and balconies a high level of sophistication, modern elegance and an unobstructed view of sunrises and sunsets. 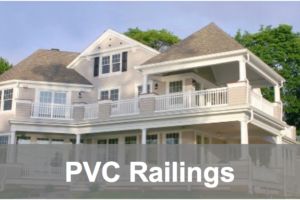 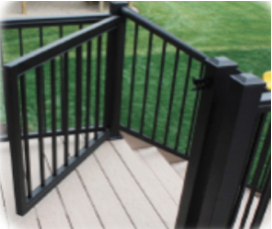 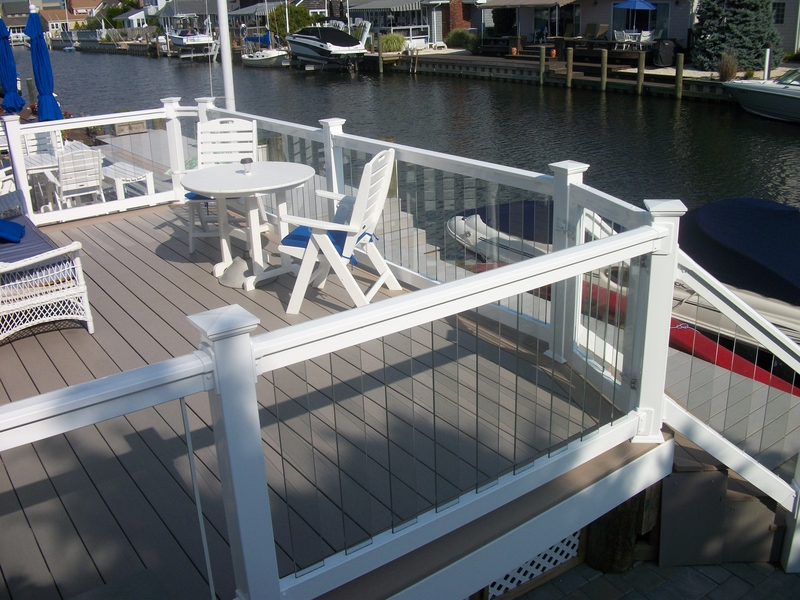 Phoenix Glass Panel Railing systems incorporate 4” wide tempered glass panels into our sturdy PVC railings systems. 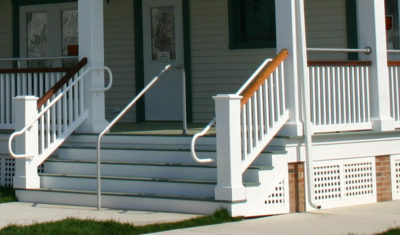 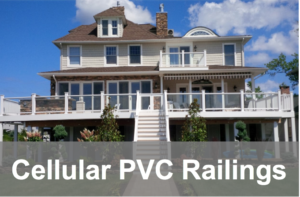 The glass balusters are integrated into Phoenix Manufacturing durable and maintenance free top and bottom vinyl PVC rails. 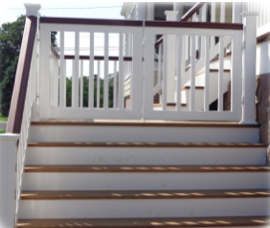 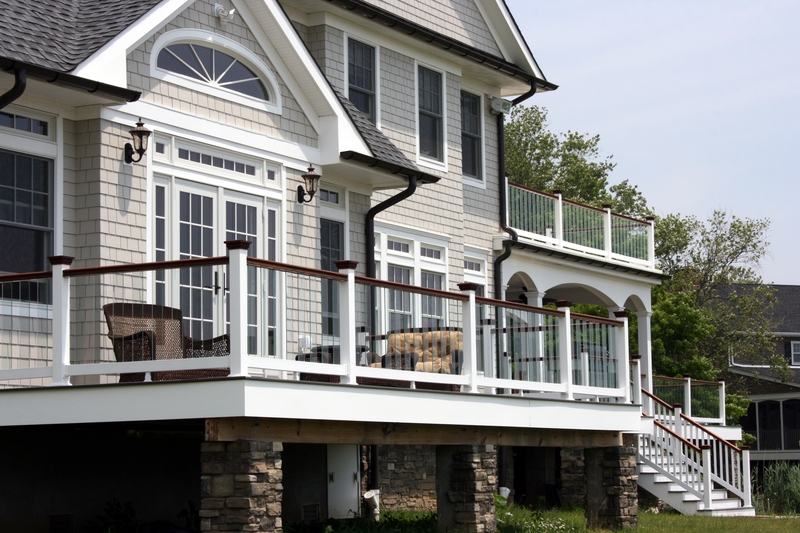 You can also incorporate glass balusters into our durable, yet beautiful mahogany top rail collection like this house did. 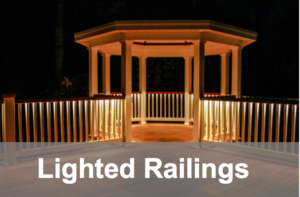 When the sun sets, light up your glass panel railings with our built-in low voltage LED lights to make your deck the focal point at night too. 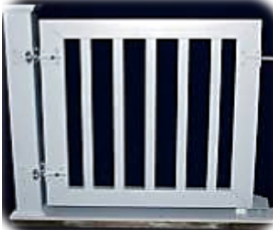 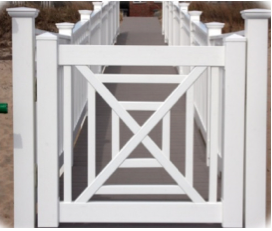 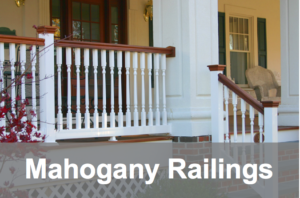 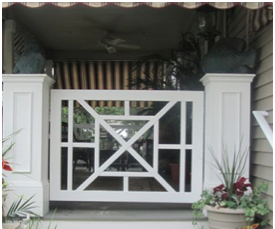 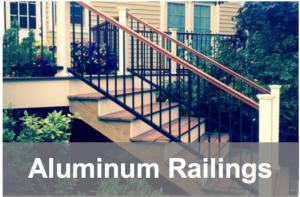 Please see our Ambience Railings ®.